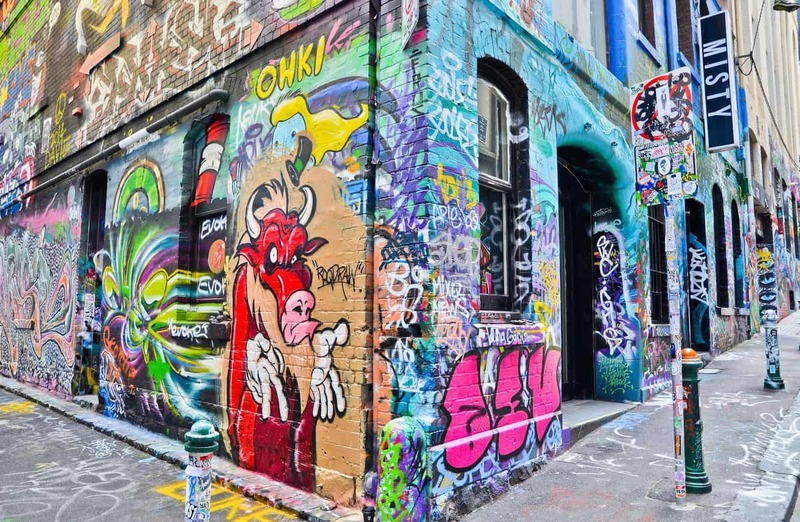 Hosier Lane is one of the city’s most remarkable streets, thanks to its art that has placed Melbourne on the global map. 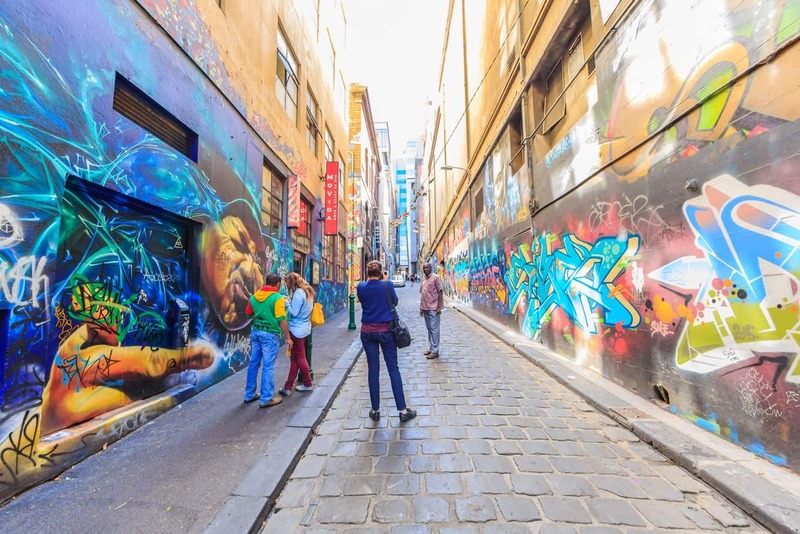 Taking a walk down the iconic bluestone laneway gives you a glimpse into the city’s vibrant culture. 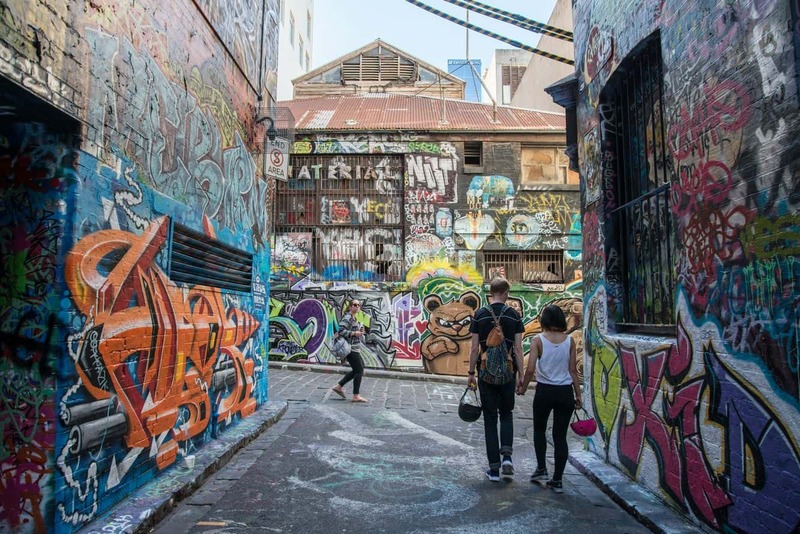 Hosier Lane is one of the most photographed streets in Melbourne, so add it to your list of things to see whilst touring the streets of Melbourne. 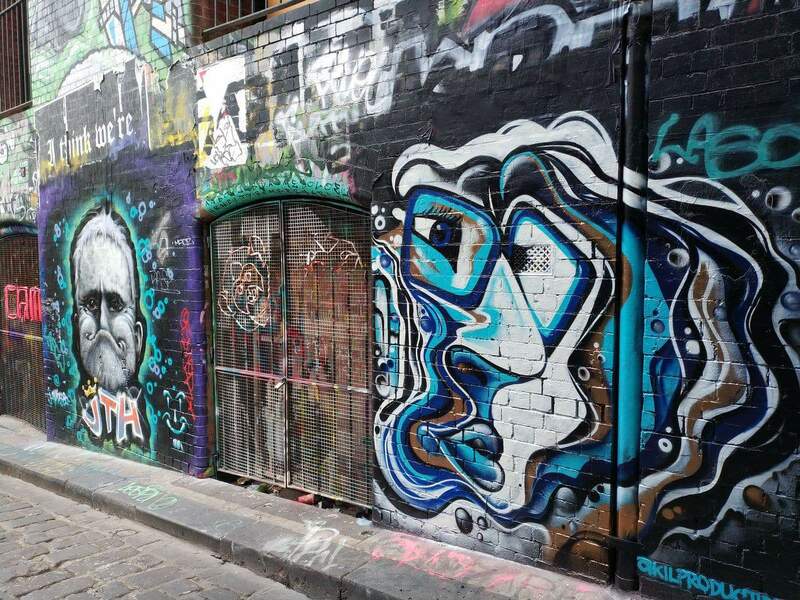 Hosier Lane is located between Flinders Street and Flinders Lane in the Melbourne CBD (entry aligns with Federation Square) and can be easily accessed by a short walk from Flinders Street Station. 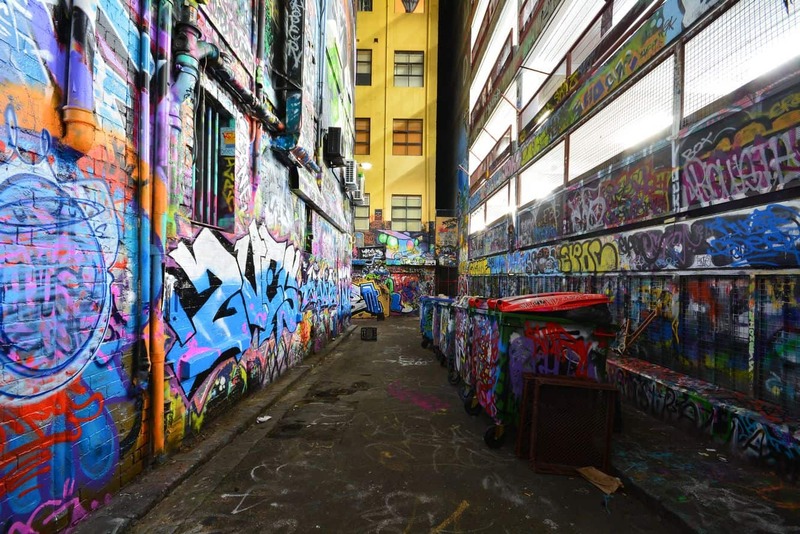 For art lovers, this is a piece of heaven. 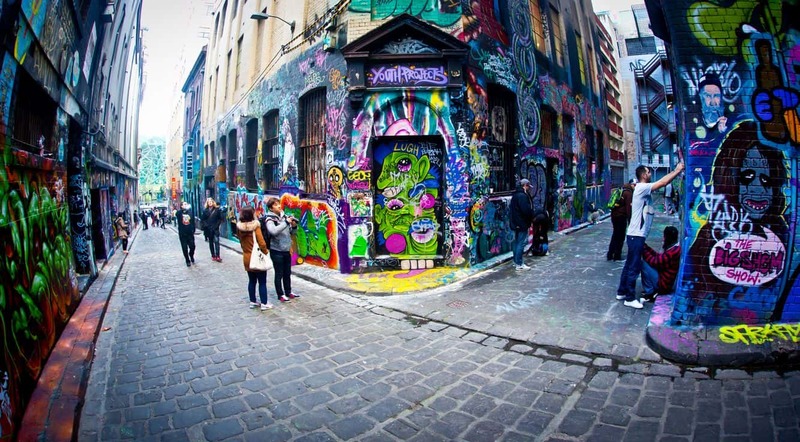 The lane comes alive with just about every form of art, from installations to murals, stencils and paintings. 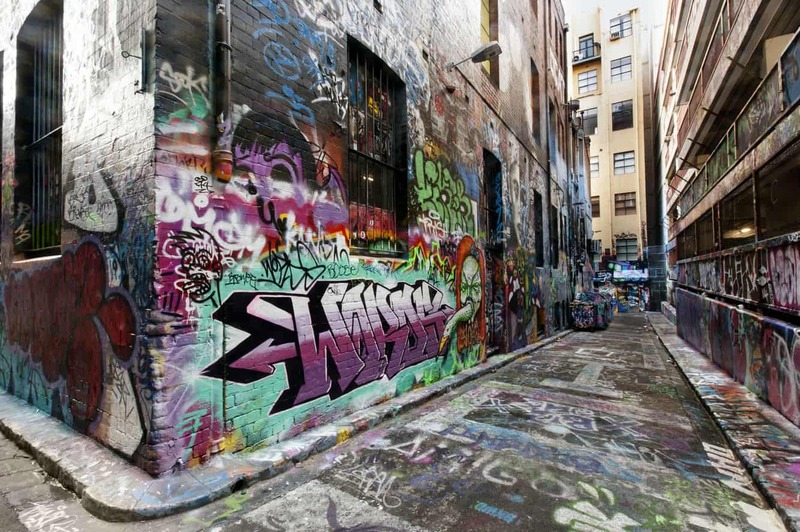 This is a satisfying visual experience that you will want to relive way after your trip. 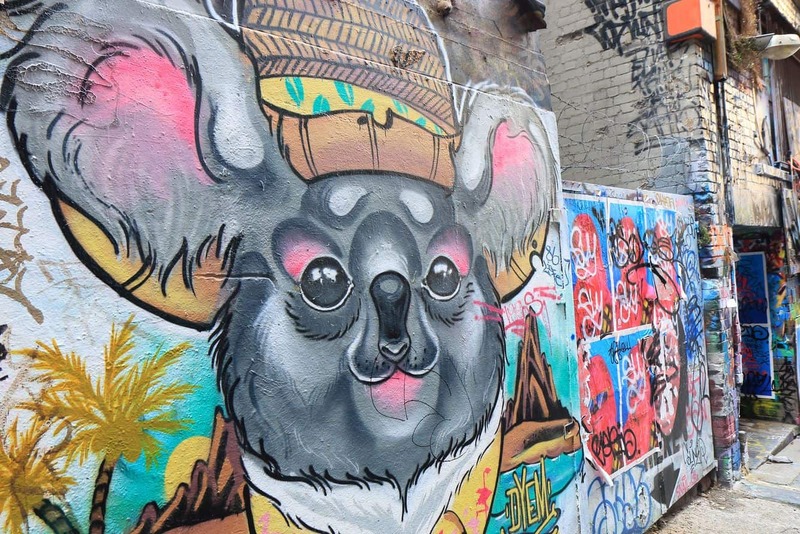 If you are interested in getting more information on the artists featured, sign up for any of the walking tours and enjoy the city’s artistic side. 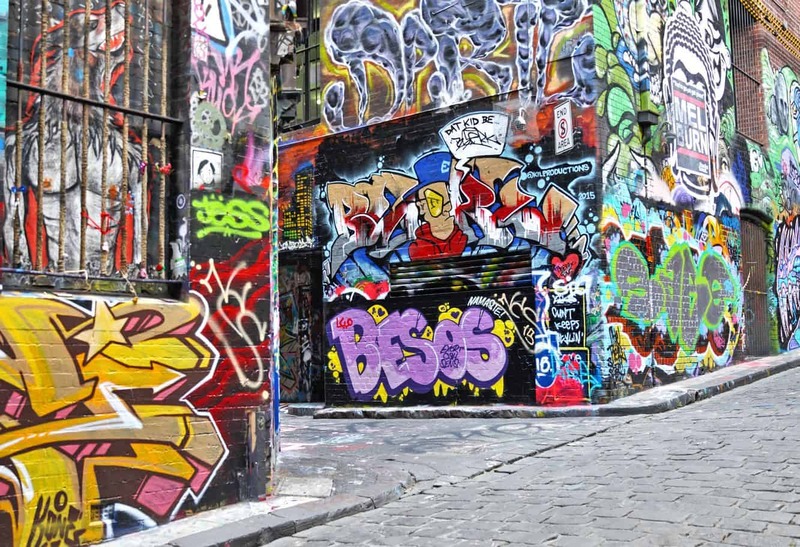 For those who prefer to travel solo, there is nothing as alluring as soaking in the urban art, camera in hand. 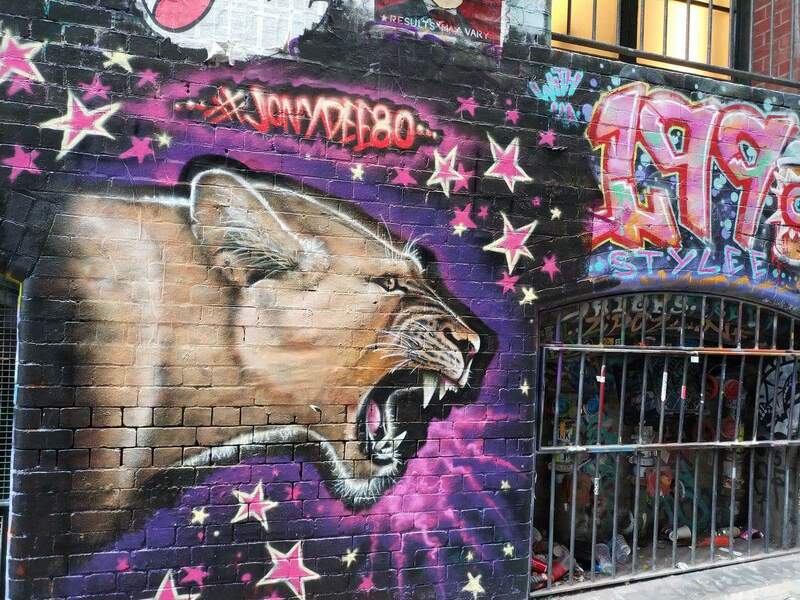 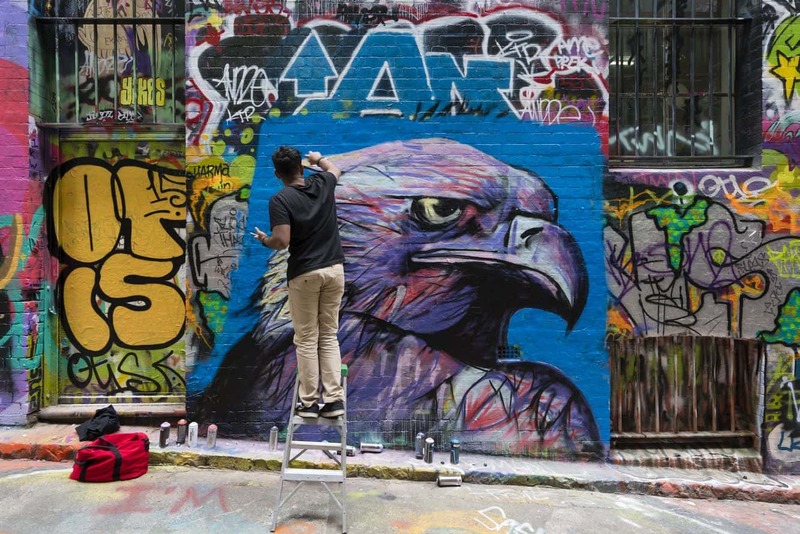 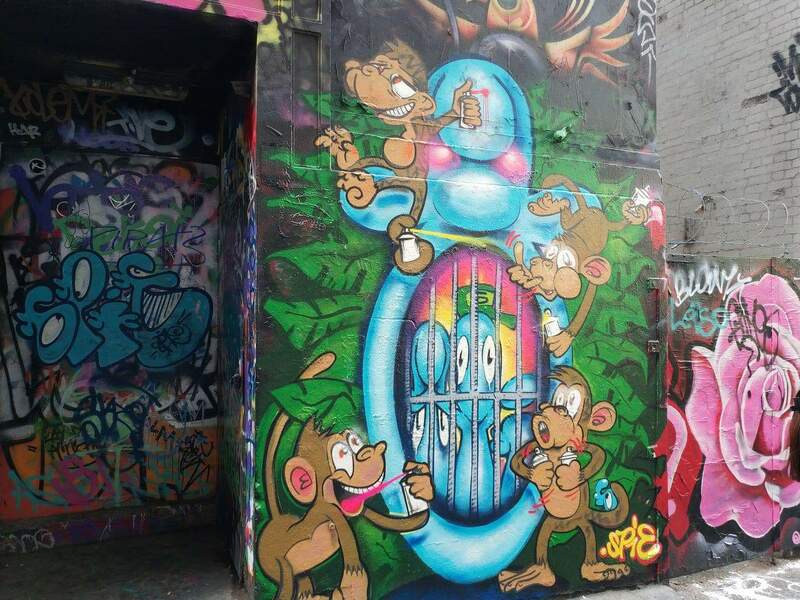 There is no better way to learn about Melbourne’s vibrant graffiti scene. 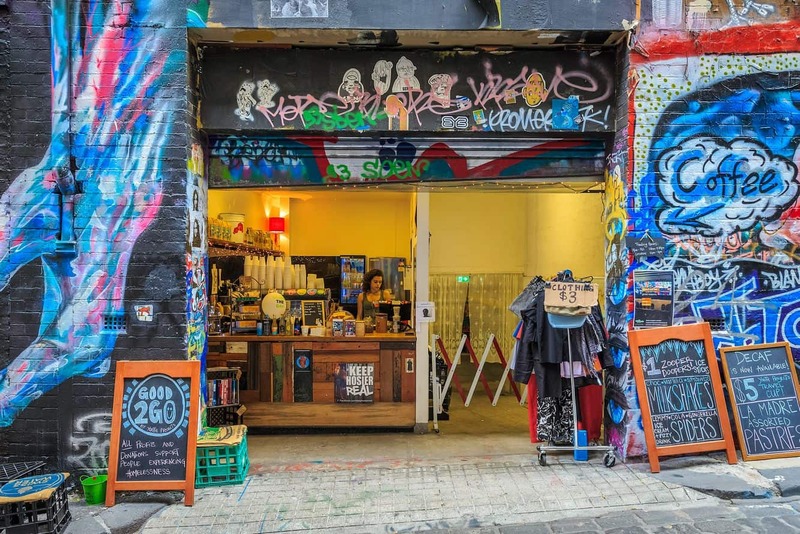 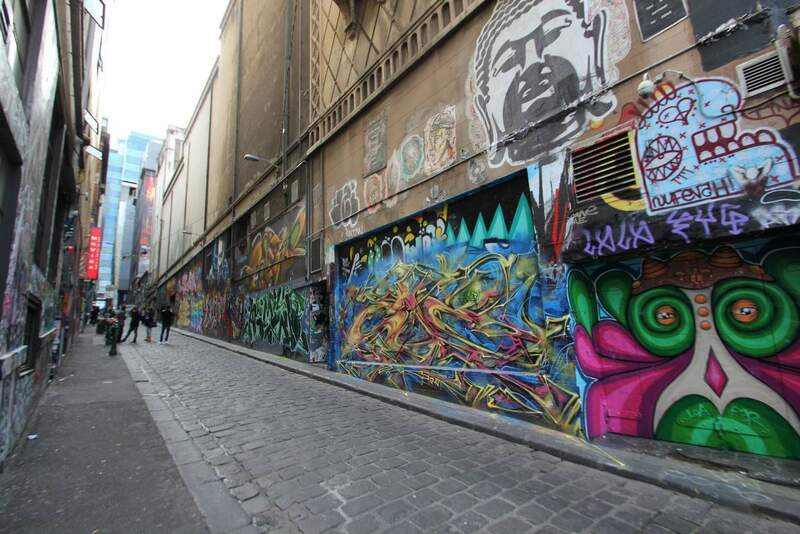 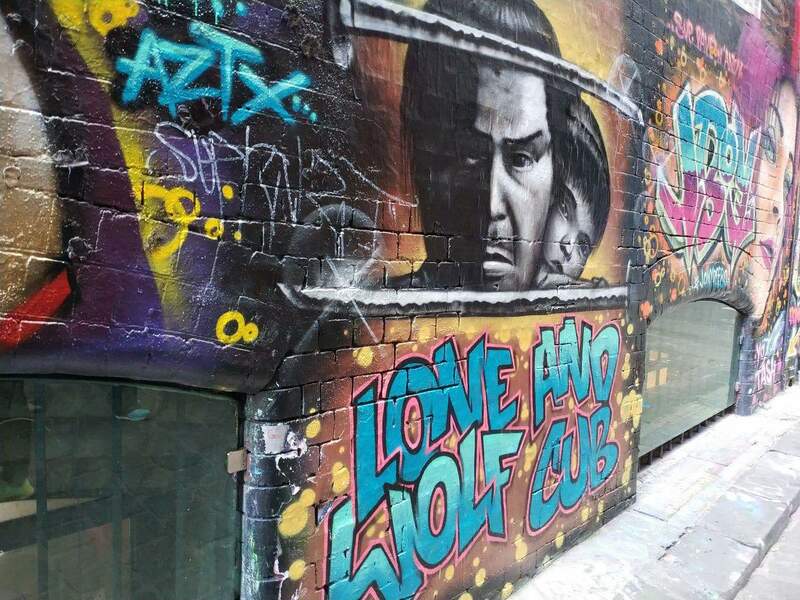 Your walk on Hosier Lane will be incomplete without enjoying a latte at Centre Place or a cocktail at MoVida. 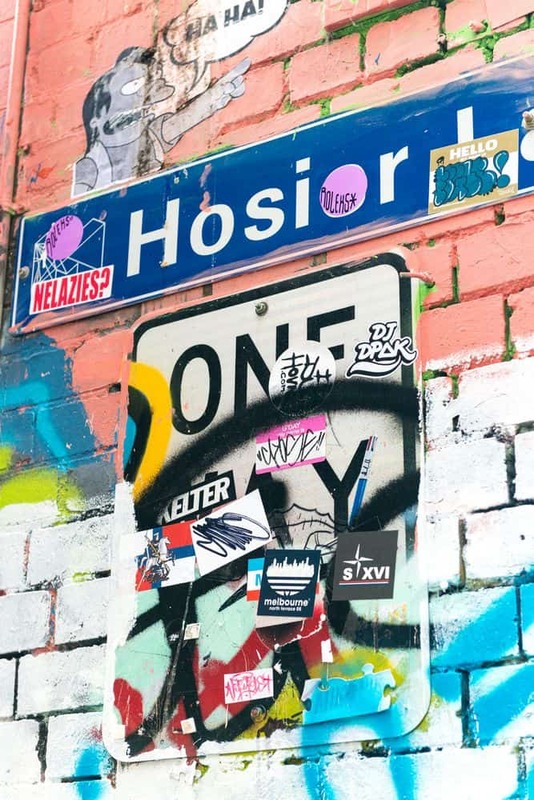 So make sure to stop by on your next trip through the city.